In something of a departure from writing about my lunch, this post marks a new phase of Rocket & Squash: the sale of a select and bespoke group of products that I hope cooks, stylists and crafts people will love. 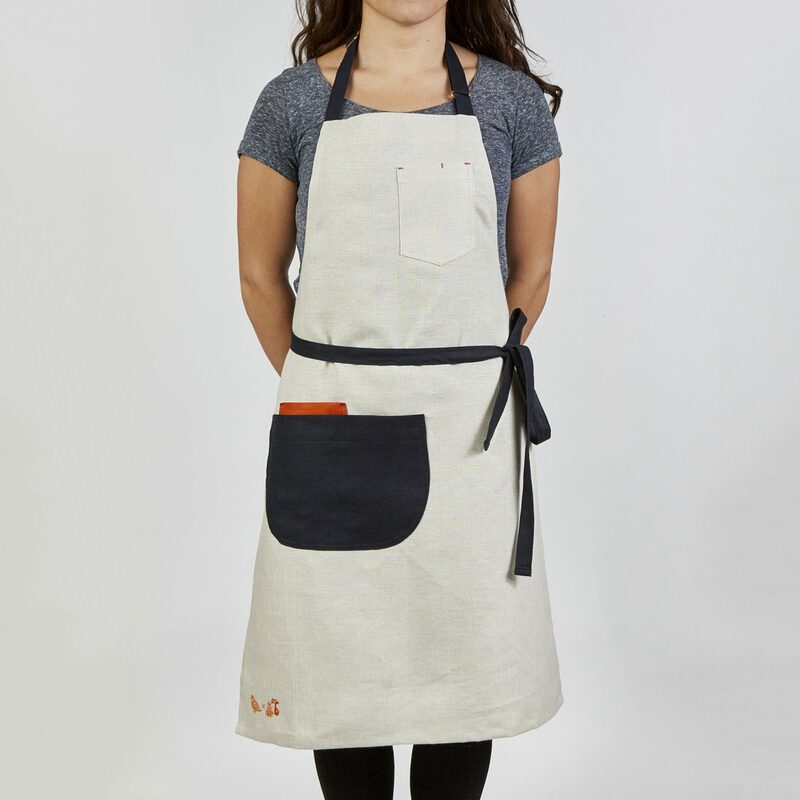 The first of these products are two linen aprons, which are the result of a happy collaboration with Northern Irish apron makers Enrich & Endure. I first met Lorcan Quinn a little over a year ago. He and his sister Sarah had recently re-directed their enthusiasm for the local linen industry towards making aprons. And I had been thinking that there must be some desirable but still practical aprons beyond those offered by Labour and Wait; the expensive to import Headley and Bennett; and those with leather on, which either require a re-mortgage or make you to look like a cobbler, and are a pain to wash regardless. 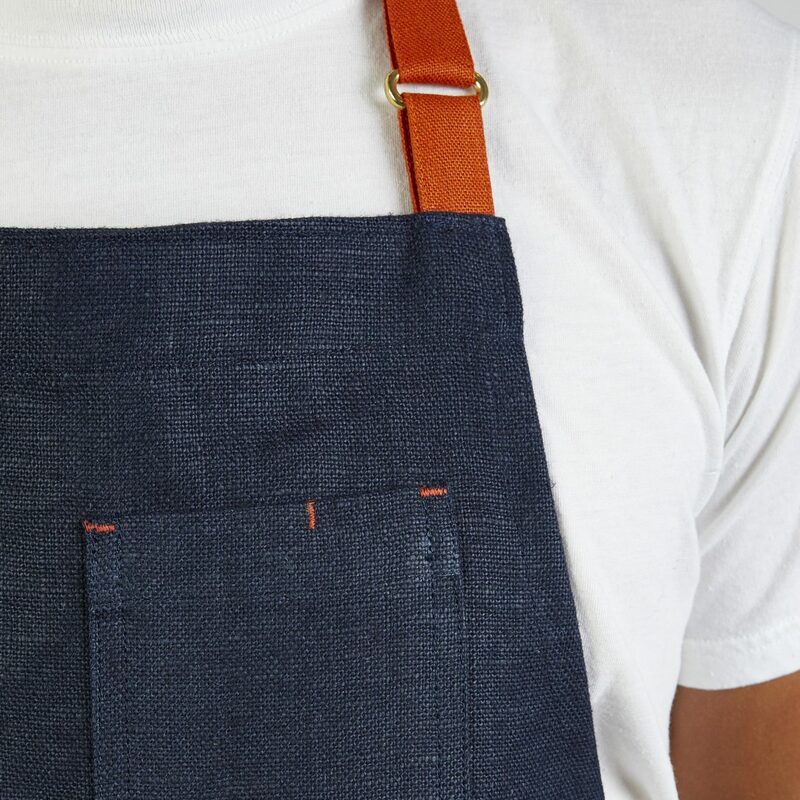 So stumbling across their lovely instagram feed proved timely — their aprons looked (and subsequently felt) spot-on, largely relying on the natural and classic appeal of hand cut and sewn linen, subtle touches, like brass slider on the neck loop, and no unnecessary detail or impractical frippery. To cut a long story short, I recently (finally) got my act together and designed a couple of bespoke Rocket & Squash aprons, which Lorcan and Sarah have turned into actual, physical, beautiful things. Our first couple of ‘Winter Squash aprons’ are the Hubbard and the Acorn. Both are largely based on the Enrich & Endure products that first caught my attention, just with a couple of tweaks. The Hubbard is made from heavyweight navy linen. It’s a workhorse, though the orange straps, pocket detail and contrasting stitching add a little flair. 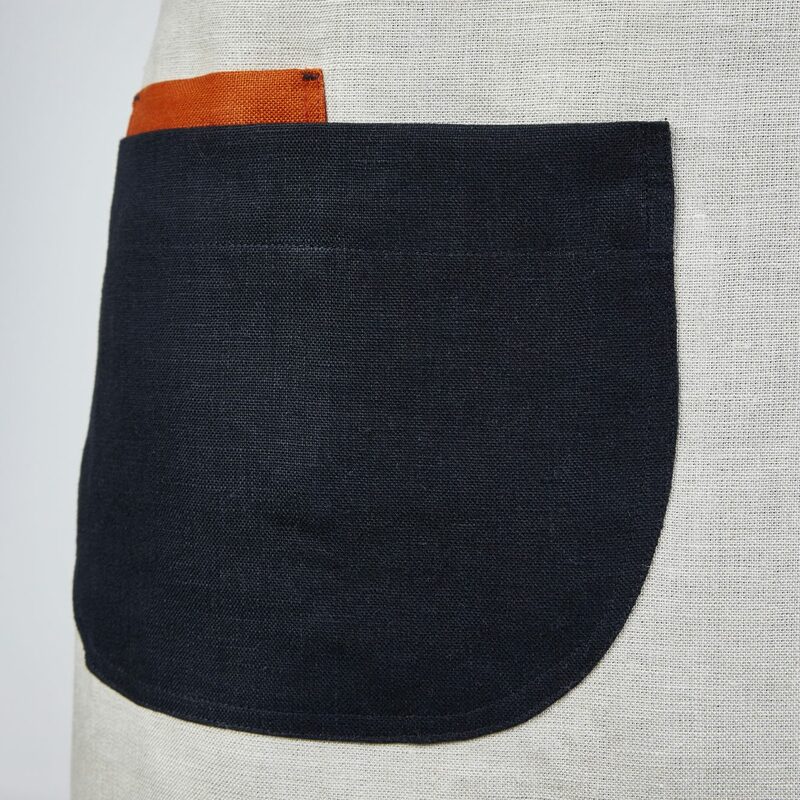 The Acorn is made from a lighter grade Irish linen. It’s predominantly oatmeal in colour, with contrasting navy side pocket and straps, plus the Winter Squash signature orange pocket detail. I reckon it’s a striking and contemporary apron, though it’s not outlandish nor will its appeal fade (and neither will the colours run). You’ll love the tactile nature of the linen once washed. I’m extremely excited to be working with Lorcan and Sarah on these, and hope they prove popular enough to add a few more options to the collection. 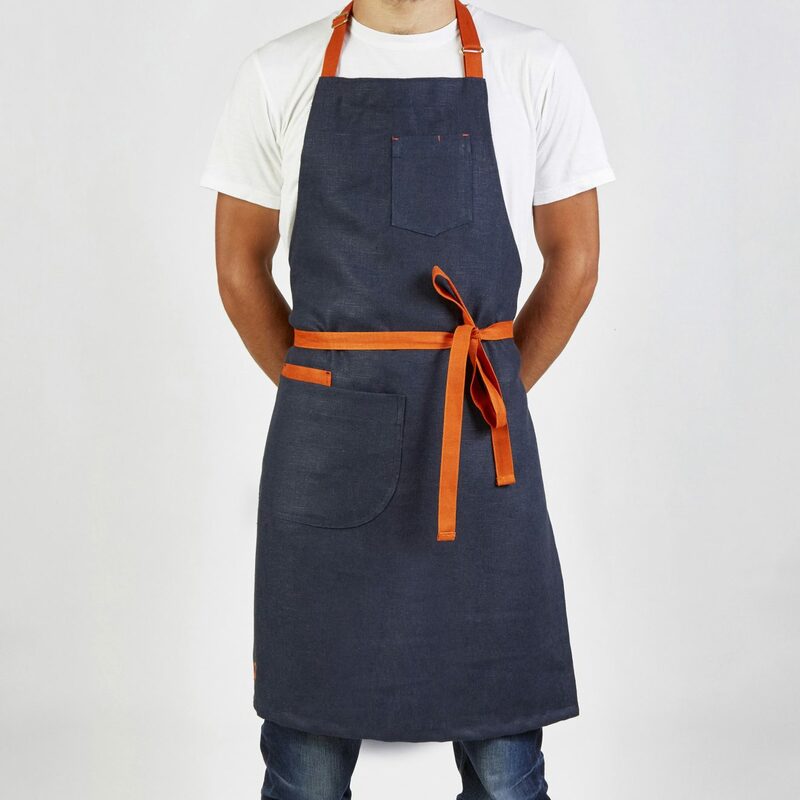 Over the course of 2016, a number of quality restaurants and cafés have added Enrich & Endure’s aprons to their uniform (Pidgin, Portland, Clipstone, Anglo, Sardine, Duck and Waffle and more). If they’ve caught your eye when eating at any of those, then jump on board. Head over to the shop for all the details and to order.